The horror icons haunting your dreams have buffed up to chase you down! 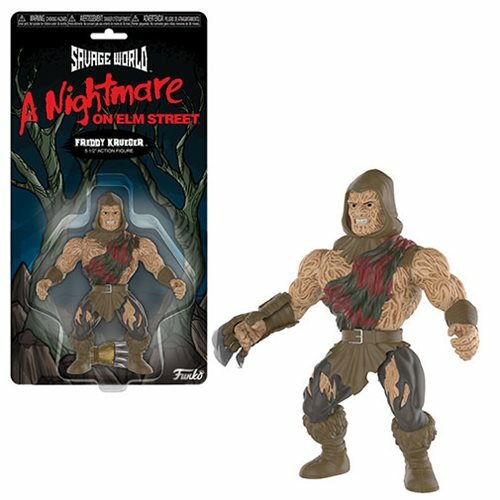 This Nightmare on Elm Street Freddy Kruger Savage World Action Figure joins Funko's line of 5 1/2-inch tall Savage World figures. It comes packaged on a blister card. Ages 8 and up. Made in China.